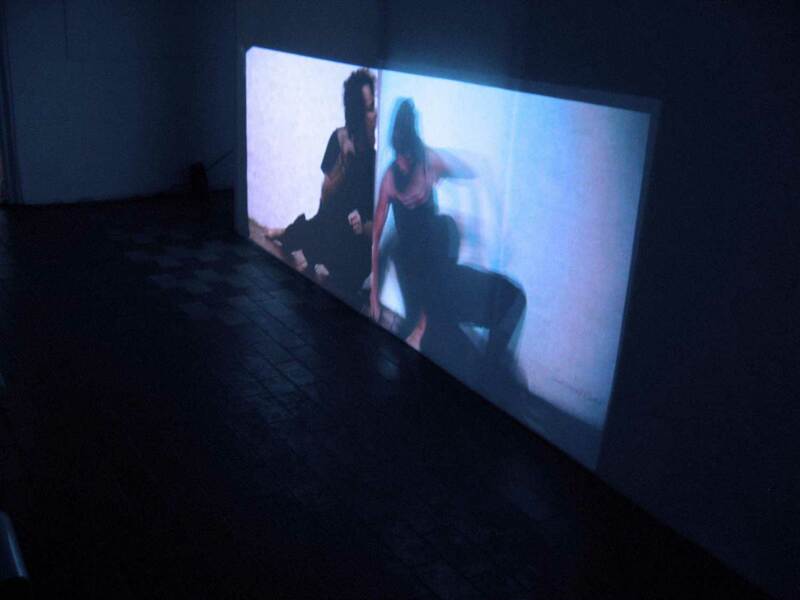 The video installation Perspective is composed from two by two parallel projections of two people (a woman and a man) banging into a wall. The installation has a back and a front side which differ in just a few details in the video footage (see picture bellow for the tloris view). 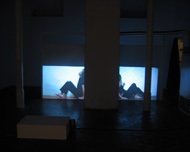 The front and back side are however more radically different in the positions of the parallel videos – on the front side there is a pillar in between the two videos, whereas in the back side of the video installation, the two parallel videos are put side by side, without anything in between them. This slight difference is the basic twist that through the video footage story and the carefully conceptualised and constructed installation builds the complex story of the video installation. The videos of the installation were structured into a loop; ceaselessly repeating themselves, having no beginning and no end. The incessant repeating is deliberate. 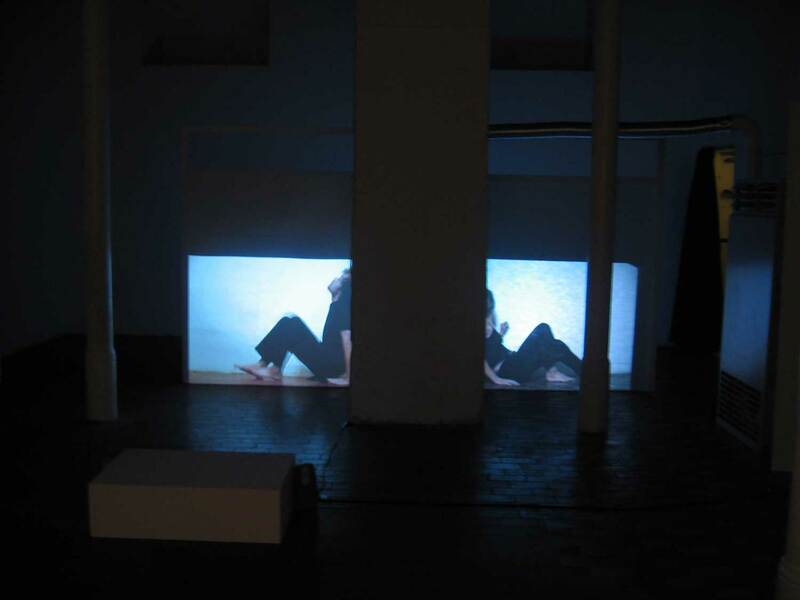 The video installation focuses on the limited ability of perception of personal problems of an individual. 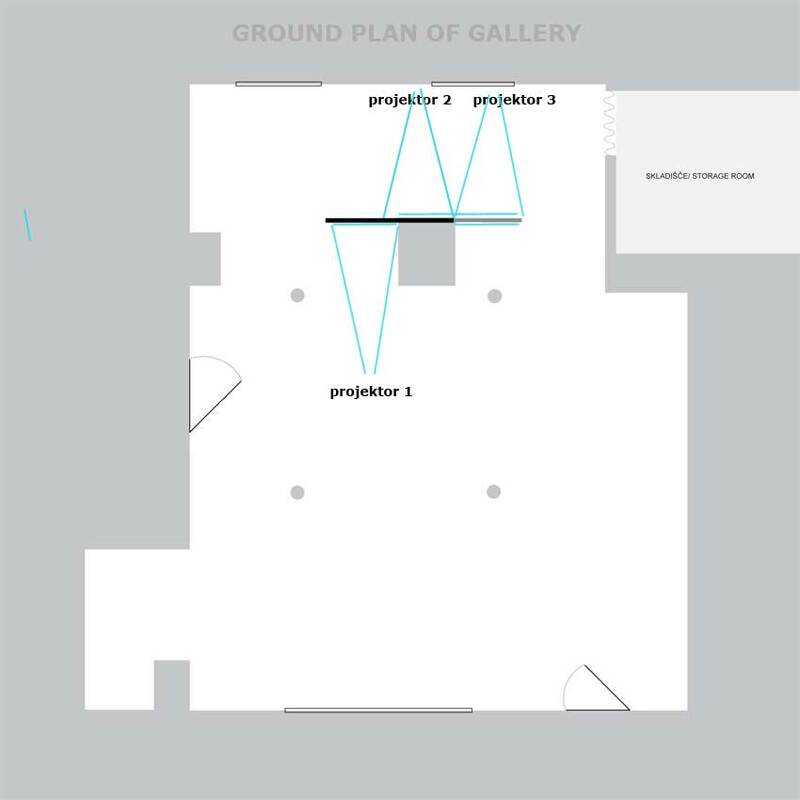 The interpretation of the videos in the installation depends on the stand point from where one can as a spectator – an external observer – observe and consequently understand and interpret the happening in the presented video installation. The standpoint of the spectator is the identification point of the viewer. 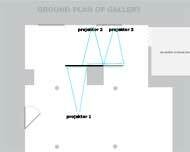 If the viewer moves around the installation his/her viewpoint and interpretation of the video events change. The video installation is an attempt to question the borderline of our skin, our bodies. With the impossible struggle to be able to see both parts of the installation at once, we are – as spectators – as well thrown into questioning the truthfulness of our own position. The structure of the video differs from the hierarchy that I have employed in my former short videos, bringing about a shift at the end. In the video installation “Perspective”, the story is constructed in a different way; the gradual intensification of the meaning does not happen only in time, but also through a premeditated placing of the projected videos and the ceaseless repetition of its parts.